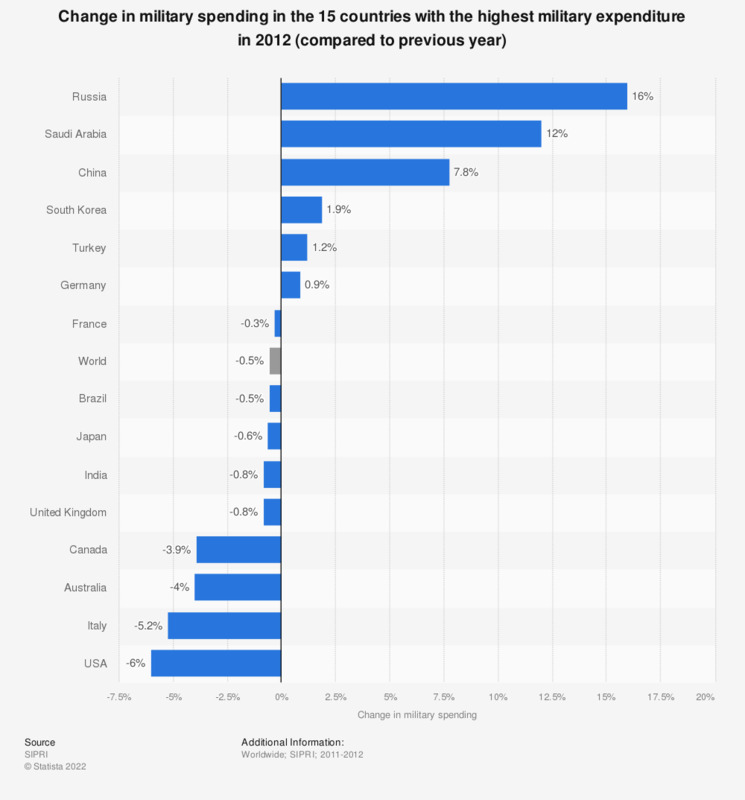 The statistic shows the change in military spending in the 15 countries with the highest military expenditure in 2012 (compared to previous year). In 2012, the military spending of China rose by 7.8 percent compared to previous year. * According to the source, the expenditure of Saudi Arabia includes public order and security, so the figure is set slightly too high.